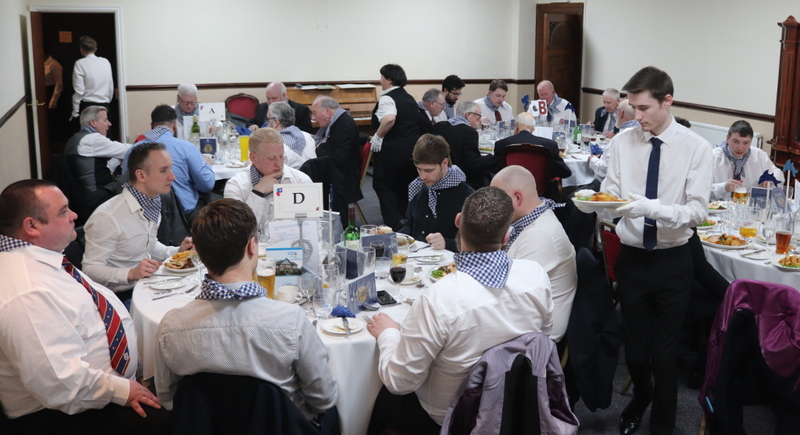 The master of the lodge assisted by its members held a traditional Old English social board after its last meeting. The difference being was that it was also a ‘white table’ event. 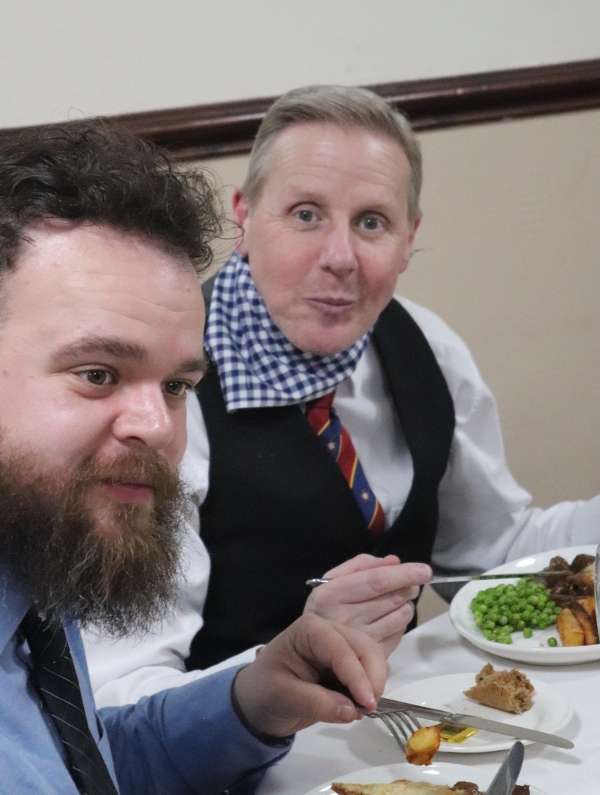 The lodge members invited around 15 non masonic guests to sample part of the masonic brotherhood, in a traditional old English night. All participants were given a glass to drink from, and to keep, to remind them of the evening. A strict dress code was enforced, which included the wearing of neckerchiefs, and fines were quickly rolled out. Here’s hoping that from this very joyful evening a few new potential masons have seen the light in our brotherhood and now have a desire to want to be part of it.